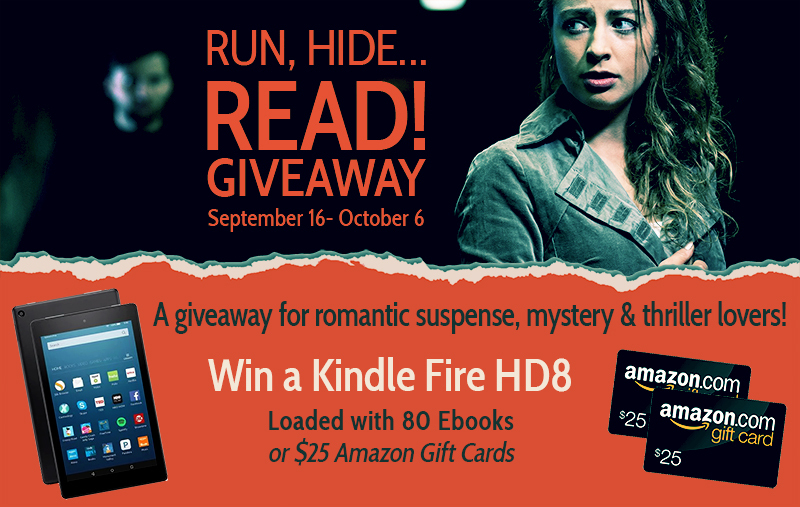 Romantic suspense, mystery, and thriller lovers, imagine curling up in a cozy chair on a rainy day this fall with 80 bestselling mainstream ebooks to choose from and a new Kindle Fire HD 8 to read them on. One lucky winner will get this prize package. Why not you? 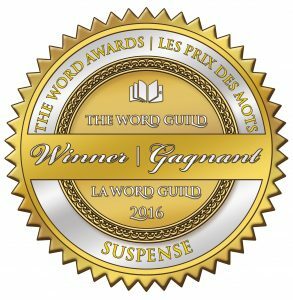 The grand prize includes: ebooks by Janet Evanovich, Kendra Elliot, Melinda Leigh, Mary Burton, J.D. 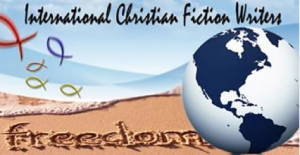 Robb, Gina Lamanna, and Loreth Anne White, and the list goes on and on, not to mention 30 page-turning reads donated by the talented authors sponsoring the giveaway (myself included). Two runner-up prizes of $25 Amazon gift cards are also up for grabs. One entry signs you up for each of the 32 sponsoring authors’ newsletters once the giveaway closes. You can unsubscribe at any time, but please don’t mark us as spam. 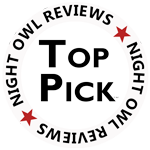 Who knows, you may just find your new favorite author! You can also earn bonus entries by subscribing to the individual newsletters before the giveaway closes. 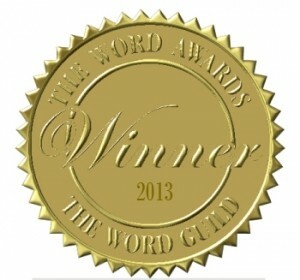 However, all winners will be verified that they are subscribed to an author’s newsletter before prizes are awarded. Ray, you’re quite a hero in Heath’s Point—just back home from your mission work in such a dangerous area of the globe. And I hear you took down a sinister drug lord. You must be pretty proud of yourself. Not exactly. I only happened to be at the right place and time to spot that drug exchange that put the cartel leader in jail. Seriously, I’m no hero. I should have been paying attention to the threats made against my mission. I played them off as a distraction. A desperate attempt to chase me away. Well, you’re still a hero to most of us. And everything worked out all right, except the injury to your arm and the cut on your face. Reminders of how stupid I’d been. There were other people at my mission who didn’t get away as easily as I did. I bet your girl is glad you’re back. Cathy and I are friends. At least I hope we can still be friends. We’d talked about working a foreign mission together, then this opportunity had dropped in my lap. And frankly, the fact that I was single was probably the main reason I was chosen for the position. Cathy and I didn’t get much chance to talk while I was away. Then, you haven’t heard about her excitement? More like terror, I should say. What? No, I haven’t seen her, yet. What happened? Is she okay? You should speak to the police chief about that. I wouldn’t want to say something I shouldn’t. But thanks for the interview. 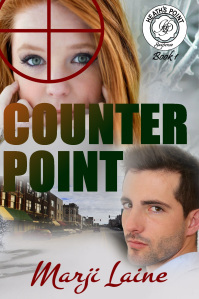 You can learn more about Ray and his story in the romantic suspense, COUNTER POINT, now available for pre-order at 40% off. Someone wants to complete the final assignment of a murdered hit man. Her dad’s gone, her diner’s closing, and her car’s in the lake. Cat McPherson has nothing left to lose … except her life. 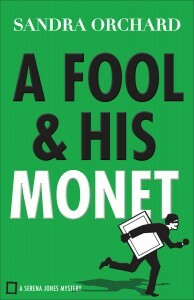 And a madman, bent on revenge, is determined to take that, as well. Her former boyfriend, Ray Alexander, returns as a hero from his foreign mission, bringing back souvenirs in the form of death-threats. When several attempts are made on Cat’s life, she must find a way to trust Ray, the man who broke her heart. Keeping Cat safe from a fallen cartel leader might prove impossible for Ray, but after seeing his mission destroyed and hearing of the deaths of several godly people, he knows better than to ignore the man’s threats. Cat’s resistance to his protection and the stirring of his long-denied feelings for her complicate his intentions, placing them both in a fight for their lives. How can a small-town girl survive when ultimate power wants her dead? And if you DO pre-order COUNTER POINT email your receipt to Write Integrity Press by October 30th and receive an ebook collection of Marji’s short romance stories, HEART SPARKS – only available through this offer. 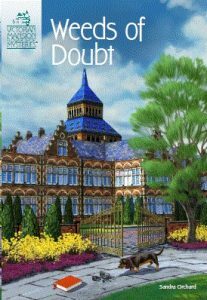 Schooled by experts such as Perry Mason, Jessica Fletcher, and Dr. Mark Sloan, Marji Laine writes the mysteries she craves with a touch of romance and a thread of faith. 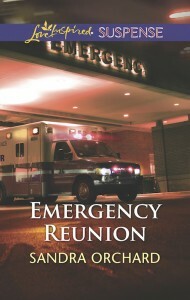 Her series are made up of stand-alone stories with satisfying endings where justice prevails. 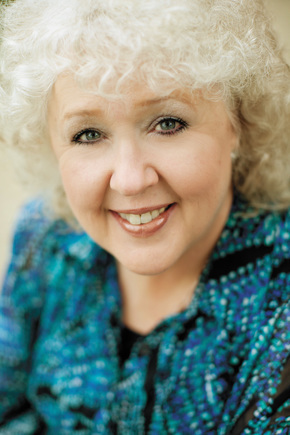 She sets most of her books in and around the Dallas area, where she has lived all her life, or in the small towns of East Texas that she adores. Catch up with Marji at her website, MarjiLaine.com, on Amazon, Facebook, Twitter, and at the Write Integrity Press website. 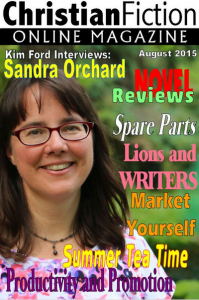 Get news about Marji and her writing FIRST by signing up for her monthly newsletter! Join her CREW! 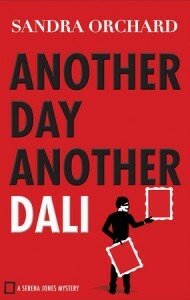 It’s a new month, with a brand-spanking new book hitting bookstore shelves in the coming week. And we’re celebrating with a giveaway! This is the final book in my connected stories of members of the Steele family that began with Perilous Waters last April, and continued with the award-winning Identity Withheld, last November. Click the image to learn more. we’re giving away a copy! So please click through above and enter at her blog for a chance to win an autographed copy! And check out the fun bonus features I’ve added to the site for it. Aspiring writers might especially be interested in the editor’s commentary and deleted scenes. 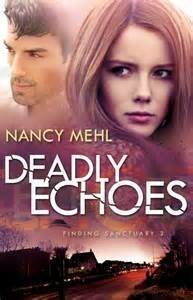 I’m delighted to be joined today by popular romantic suspense and mystery author, Nancy Mehl, to talk about her newest release, Deadly Echoes, and a special contest she has going on to celebrate its release. What inspired you to write this particular novel? Actually, I’d been thinking about jealousy and competitiveness. Why sometimes we feel threatened by someone else’s success, looks, or possessions. I was wondering what causes us to compare ourselves to others in the first place. Jealousy is like a slow poison that can work its way into every area of our lives if we open the door to it. It weakens us and steals our joy. I believe a lack of knowing who we are in Christ makes us susceptible to the green-eyed monster. Addressing this problem inspired Deadly Echoes. My main character, Sarah Miller, was orphaned at a young age. Her sister, Hannah, was adopted, but Sarah wasn’t. Even though her life has turned out well, She’s never lost her belief that Hannah was adopted because she was prettier and more worthy of love. Sarah would never admit to being jealous of Hannah. She truly loves her sister, yet she lives under Hannah’s shadow, accepting a false reality based on her own feelings of inadequacy. As my story unfolds, Sarah will not only have to deal with threats from the outside, she will have to look inward and deal with her own demons. Very intriguing. Tell us a little bit about yourself: How did you start writing? What has kept you writing? I started writing when I was 45. I’d thought about it off and on, but one day I finally decided to give it a try. It didn’t take long for me to discover I loved writing novels. After a few years, I went before the Lord and asked Him if this was something He actually wanted me to do. I didn’t want to spend years doing something that wasn’t His will for me. He answered me in the affirmative, and I’ve been writing ever since. 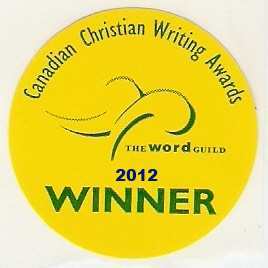 When things get tough, I fall back on my belief that I’m called to write. Inspiring! Do you have a favorite or “life” verse? Why that one? I have to mention two different verses. Of course, all the words in the Bible are special to me, but Jeremiah 29:11 is a verse that conveys a truth I try to build into every story I write. (For I know the plans I have for you,” declares the LORD, “plans to prosper you and not to harm you, plans to give you hope and a future.) It’s so important for people to realize that God is interested in them – that He has a wonderful plan for their lives. The devil would love for us to feel as if we have nothing special to offer, but that just isn’t true. God has filled each one of us with gifts and callings. We are unique in the Kingdom, and no one else can take our place. The other scripture that means a lot to me is Psalm 37:5. (“Commit your way to the LORD; trust in him, and he will bring it to pass.”) God has used this verse in my life to encourage me to quit worrying about my career, my finances, the future, etc. I used to carry the weight of the world on my shoulders, but now, I’m learning to cast my care on God and trust that He will take care of every situation. I believe He will work everything out in His timing and in His way. What a relief! I’m still learning, and sometimes He has to remind me again when I start to slip, but thanks to Him, I’m making progress! That’s great, and so reassuring. Can you tell us about your next book? The next book in my Finding Sanctuary series is Rising Darkness. This is a special story to me because I’m actually bringing back a character from my Road to Kingdom series. Sophie Wittenbauer was a troubled teenager back in Kingdom, Kansas. I always felt that her story needed to be finished, and I’m happy I can finally do that for her. After Sophie left Kingdom she worked hard to make something out of her life. Now she’s a newspaper reporter. She recently stumbled across some information that could lead to an incredible story. The kind of story that could launch her career as an investigative reporter. However, to uncover the truth she must travel to Sanctuary, Missouri. When she discovers there is a Conservative Mennonite community living there, she almost scraps her plans. Being around people that remind her of her past in Kingdom is the last thing she wants. But the desire for fame and fortune drive her to ignore her fears and go to Sanctuary. Once there she runs into a face from the past. Jonathon Wiese is the pastor of a nondenominational church in the small town. Sophie is mortified at seeing him again. She’s thought about him almost every day, and her feelings for him are just as strong as they ever were. Thankfully, he doesn’t make the connection between the sophisticated woman she’s become and the dirty uneducated teenager she used to be. As she tries to deal with seeing him again, she begins to uncover clues that could lead to finding a notorious criminal who vanished years ago. But before she can find him, he seems to have found her. Sophie will not only have to face her love for Jonathon, but also the very real fear that she will never leave Sanctuary alive. Oh, that’s cool. I loved the book covers for that series. They were the inspiration for my Port Aster Secrets series. Readers you can learn more about Nancy Mehl’s contest by clicking the book image above or the link here. Nancy Mehl lives in Festus, Missouri, with her husband, Norman, and her very active puggle, Watson. She’s authored twenty books and just finished a new series for Bethany House Publishing. The first book in her Finding Sanctuary series, “Gathering Shadows” was released in May of 2014. The second book, “Deadly Echoes” became available in February. The third book, “Rising Darkness will release late in 2015. You can learn more about Nancy through her Web site: www.nancymehl.com. She is part of The Suspense Sisters: www.suspensesisters.blogspot.com, along with several other popular suspense authors. She is also very active on Facebook. Have a great week everyone! I’ll be back on Valentine’s Day to share a special serial read. 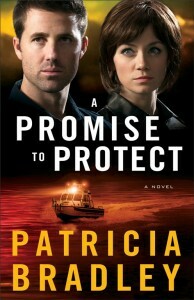 Patricia Bradley, in A Promise to Protect, the second book in her Logan Point series, once again delivers a wonderful, keep-you-guessing romantic suspense. And don’t worry, you don’t have to have read book one. This is a standalone novel that will give people who have enjoyed book one the added fun of seeing what some of its characters are up to now. And who could resist the stunning cover? Pat does a fabulous job of making the Mississippi setting come to life. As a Canadian who’s never traveled to the deep South, it was quite a vivid experience. One particular scene involving snakes even haunted my dreams! Acting Sheriff Ben Logan hasn’t heard from Leigh Somerall in a very long time, but it doesn’t mean he can get her—or their whirlwind romance of ten years ago—out of his head. When she calls out of the blue it is with a strange request to protect her brother, Tony. But when Tony dies just days later, Ben is charged with a different task—protecting Leigh and her nine-year-old son, TJ, from the killers. But how can Ben keep an eye on Leigh if she’s doing everything in her power to avoid him? And could the secret that Leigh is keeping change Ben’s life forever? Me again: Now, as you probably guessed from the description. This is a secret baby story. While I often have a difficult time sympathizing with a heroine who keeps her child’s parentage a secret from the father, and admittedly there were a couple of spots that I wanted to knock Leigh upside the head for not finally coming clean, for the most part, the fast-paced scenarios compelled me to suspend judgement and read on to see how the Lord might change her heart. I borrowed the idea for the following questions from Jessica Patch’s blog. BTW, I’ll be there on Friday doing a giveaway. Leigh: Married, but he’d have to really like children. Ben: Single. I have panic attacks when I get around kids. Pat: I’d rather be invisible. I used to watch Topper and really wanted to be like George and Marion Kerby. Leigh: I’d rather read minds. I think I’d be a better doctor if I could. And I’d like to know what Ben Logan is thinking. Ben: I’d rather read minds. It would make being a sheriff much easier if I knew what the criminal was thinking. And Leigh, too. She’s so hard to read. And maybe I could discover what’s really bothering her. Oh, I remember, Topper! Thanks so much, Pat, Leigh and Ben! she throws mud on a wheel and tries to make something beautiful. 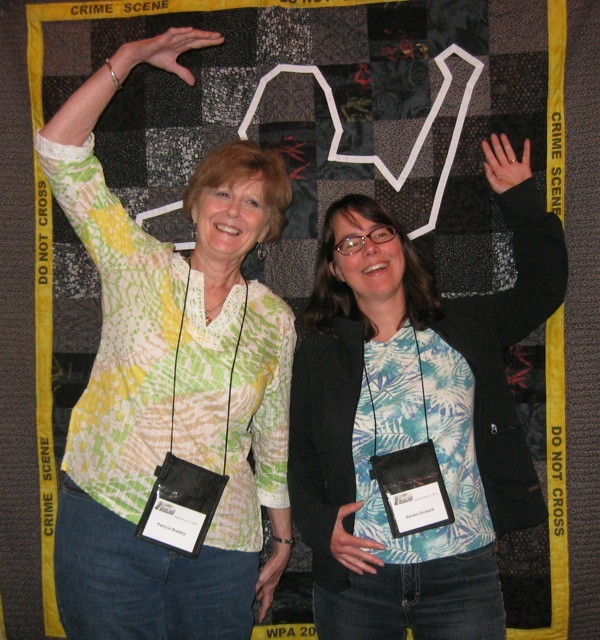 Your Turn: Pat is crazy busy these days with approaching deadlines for both another book from Revell and one for Harlequin’s Heartwarming line. But she’ll be happy to answer your questions. So ask away!